The Indian Air Force's Wing Commander Abhinandan Varthaman, captured by Pakistan returned to his country March 1st. 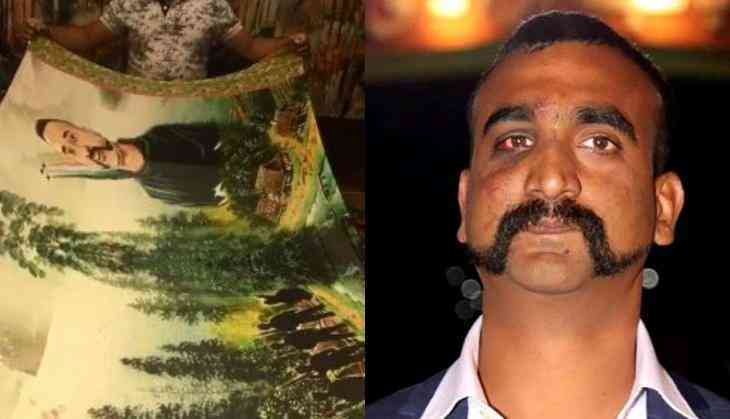 IAF pilot Abhinandan’s MiG 21 was shot down in Pakistan, after which he was detained by Pakistan Army. Over 60 hours later he returned and people across India were celebrating his safe comeback to his motherland. A huge crowd gathered near the Wagah-Atari border to get just one glimpse of their ‘hero’. While some took social media to express their joy. Wing Commander Abhinandan walked to his country in a blue blazer and grey khaki trouser. 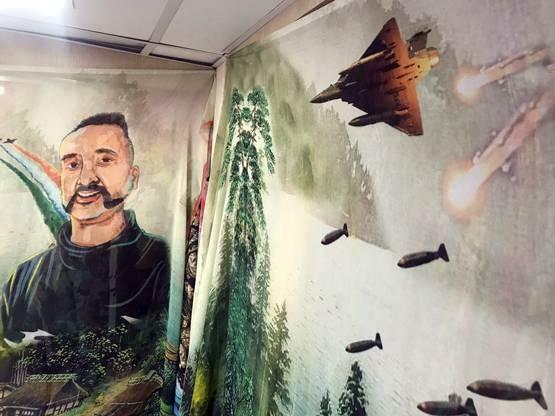 In a tribute to the living inspiration for all, a garment trader from Surat has come up with unique sarees that have IAF pilot portrait and journey printed on it. Manish Agarwal, a garment trader from Surat, has printed saree in the design of IAF pilot on it. 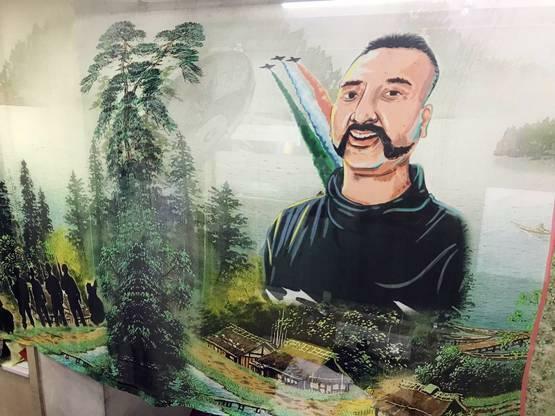 This unique saree has been created by Annapurna dyeing mill as their token of gratitude for Wing Commander Abhinandan’s bravery. M-16 has also been printed on this sari. Also, the cannons of the Indian Army have been printed. In the sarees forests of Kashmir can be seen.